Comodo (www.comodo.com), a leading certificate authority and Internet security organization, today announced it will be exhibiting at the seventh annual HostingCon, the world's largest conference and trade show serving the hosted services industry at the San Diego Convention Center from August 8-10, 2011. Comodo will be located at booth #139 on the show floor. "This year at HostingCon, our international team will be meeting one-on-one with hosted service providers and e-business partners to demonstrate the latest advancements in our security arsenal," said Melih Abdulhayoglu, Comodo CEO and chief security architect. "Our security experts will be on hand to introduce, demonstrate and discuss our newest products and security solutions." The conference features 52 educational sessions across three full days presented by more than 100 speakers and panelists, including numerous industry thought leaders and trend setters. More than 1,800 people from all areas and niches of the hosted services industry are expected to attend the conference. 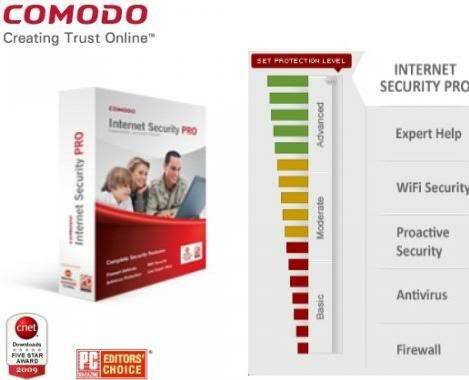 Comodo® is a leading brand in Internet security. With US Headquarters in New Jersey and global resources in UK, China, India, Ukraine, and Romania, Comodo provides businesses and consumers worldwide with security and trust services, including digital certificates, PCI scanning, desktop security, and remote PC support. Securing online transactions for over 200,000 businesses, and with more than 35 million desktop security software installations, including an award-winning firewall and antivirus software, Comodo is Creating Trust Online®. To learn more, visit Comodo's website: www.comodo.com.